The interpretation of statutes is very essential to the administration of justice. They are the tools that judges use to read meaning to provisions of the law in order to justify their decisions. Interpretation of statutes is a very important issue which is not made easy due to varying factors. One of them is that words do not usually have static meanings. the usage of some words change with time. This then makes the interpretation of statutes not as simple as one would think. Also, there could be cases where the direct interpretation of words could lead to absurdity. Or there could also be situations where the intention of the legislature is not well expressed in the interpretation of statutes. This rule provides that where the judiciary is faced with the interpretation of statutes, the ordinary grammatical meaning of the word should be applied. There should be no addition, subtraction or extension of the meanings. It should be the way it was provided by the legislature. However, if this rule is followed to the latter, there would be some problems. for example, some words change their meaning over time. Thus if a statute is interpreted literally, the meaning of the word when the legislature used it could be different from the meaning when it is interpreted. Also, there is the problem of words with multiple meanings. In the case of R vs Bangaza, the supreme court was faced with the problem of interpreting the provisions of S.319(2) of the criminal code 1954. In this case, the literal rule was applied to the extreme. This is due to the fact that the supreme court interpreted the provision of the law to mean that age of liability is the age of conviction and not the age of commission. Thus, the accused who was charged for murder was given capital punishment even though the crime was committed before he attained the age of majority. Also, in the case of Adegbenro vs Akintola the judicial committee of the privy council interpreted the provisions of S.33(10) of the Western region constitution which provided that the premier could remove the governor if it seemed to him that he no longer commanded the loyalty of majority of house members. The privy council ruled that the way by which he comes to this conclusion is only by what he determines. Even if it was in the form of a dream or vision it would still be valid according to the provision of the constitution. It should be noted that in these two above mentioned cases the provisions of the law which were controversial were later amended to remove the absurdity. This goes to show that the way of controlling misinterpretation of legislation through the literal rule is by amending the provisions of the statute. it should also be noted that this rule is usually applied where the provisions of the law are clear and unambiguous. The golden rule was formulated in the case of Beck vs Smith where it was provided that the literal interpretation of a statute should be used only to the extent that it would not produce absurdity or negate from the intention of the legislature. If the literal interpretation of the statute were to produce absurdity, then the intention of the legislature should be applied. The golden rule was applied in the case of Council of University of Ibadan vs Adamolekun where the court had to interpret the provision of S.3(4) of the constitution (suspension and modification decree) of 1966 which states that where an edict is in conflict with a decree, the edict is to become void to the extent of its inconsistency with the decree. However, in S.6 it was provided that no question as to the validity of a decree or edict was to be entertained in a court. The court ruled that it would lead to absurdity to literally interpret the provision of S.6 due to the fact that if it did, how then would it be able to enforce the provisions of S.3(4). Thus, the edict was held to be voided by the provisions of S.3(4). This rule means that in the interpretation of statute, the court should determine the mischief which the legislature intended to correct in the legislation by going into a voyage of discovery to determine the history of the legislation. However, it should be noted hat not every legislation is made to correct a mischief. Also, how deep should the judges go in making a voyage of discovery? It would be difficult if the particular judge is not well versed in history. In Akerele vs Inspector general of police, the court was faced with the interpretation of the meaning of the word “accuse” in S.210(b) of the criminal code 1948. It rejected the argument per Ademola J (as he then was) that the word meant swearing under oath. He said that by going into a short history of that section, its intention was to prohibit the practice of indiscriminate accusations of witchcraft and trial by ordeal. This rule means that when a general word or term is used alongside a specific word or term, the meaning of the general word should be in line with the specific words. For example, where the law uses “… cats, dogs, goats, chickens and other animals of such kind”. The meaning of “other animals” should be domestic animals because the specific words used were domestic animals. • To be able to enforce the law. 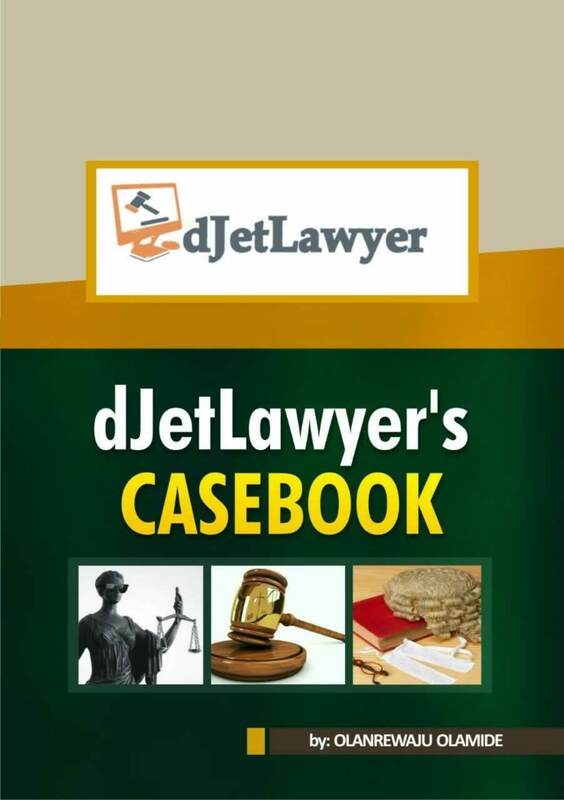 • To avoid the miscarriage of justice which could be the case if statutes are wrongly interpreted. Your site has been a great source of help to me. Welldone! Pls where can i find construction of statutes? In my opinion, interpretation of statutes is similar to construction of statutes.